Tony Young scored 13 of his 15 points in the second half to help No. 13 Southern Illinois beat Indiana State 58-50 on Wednesday night and win the Missouri Valley Conference regular-season title outright. Jamaal Tatum also scored 15 points for the Salukis (24-5, 14-3), who won their 10th straight. Marico Stinson led Indiana State (12-16, 5-12) with 17 points, but it wasn't enough to prevent the Sycamores' fifth straight loss. Southern Illinois held Indiana State to 33 percent shooting in the second half. 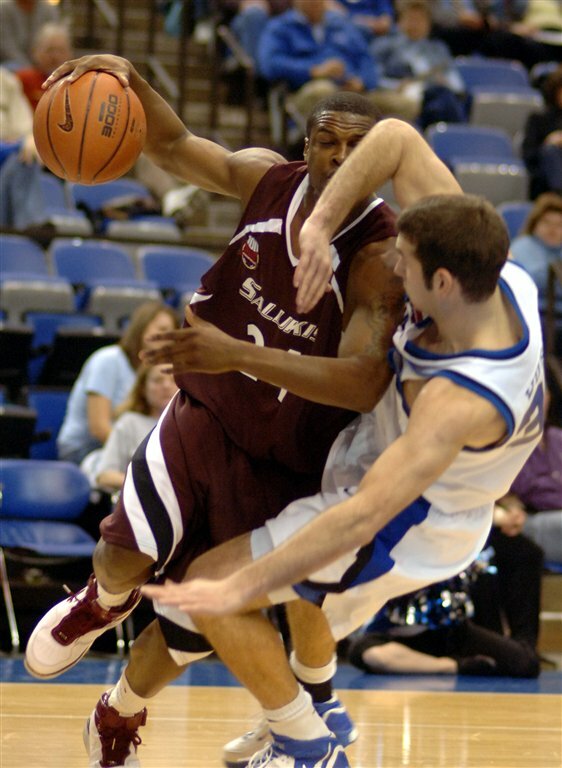 The Salukis have won 12 of the past 13 games in the series and the last seven at the Hulman Center. Indiana State, which entered tied for last in the conference, led 27-25 at halftime. Southern Illinois hadn't played since an emotional 68-64 win at Butler last Saturday, and the Salukis looked lethargic early against the Sycamores. Stinson committed his fourth foul with 17:44 left and Indiana State leading 29-26. Despite that, the Sycamores extended their lead to 36-31 on a bank shot by Trent Wurtz with 14:14 left. Southern Illinois countered with a 10-2 run that included two 3-pointers by Young. His second 3 gave the Salukis a 41-38 lead with 7:52 left, and Southern Illinois led the rest of the way. Indiana State jumped out to a quick 9-2 lead. The Sycamores took a two-point halftime lead on a pair of free throws by Gabe Moore with 1 second left. Southern Illinois shot 32 percent and made just six field goals in the first half. The Sycamores started the season 11-4 with wins over Purdue and Butler, but have lost 12 of their past 13.